VISA Requirement A passport and round trip ticket are required. 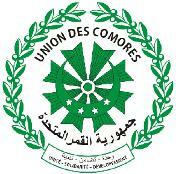 All travelers to Comoros are given a free, 24-hour transit visa upon entry. The following day, visitors are required to go to the immigration office in Moroni to change their visa status. A fee is charged, depending on length of stay. Transportation The following airlines provide service between the Comoros Islands and other countries.